The Dropa (also known as Dropas, Drok-pa or Dzopa) are, according to certain controversial writers, a race of dwarf-like extraterrestrials who landed near the Chinese-Tibetan border some twelve thousand years ago. Skeptics note, however, a number of problems with the case (and a lack of corroborative evidence), which offers significant doubt as to the reality of the more sensationalistic Dropa claims. Mainstream critics argue that the entire affair is a hoax. Each stone disk was reportedly inscribed with two fine grooves spiraling from the edge to a hole in the disk’s center, perhaps not unlike the Phaistos Disk. According to Tsum Um Nui, one of the lines of the hieroglyphs reads, “The Dropas came down from the clouds in their aircraft. Our men, women and children hid in the caves ten times before sunrise. When at last they understood the sign language of the Dropas, they realized that the newcomers had peaceful intentions . . . .” Another section expresses “regret” by the Ham that the aliens’ craft had crash-landed in such a remote and inaccessible mountain range and that there had been no way to building a new one to enable the Dropas to return to their own planet. In 1965, Professor Chi Pu Tei and four of his colleagues were finally given permission to reveal their theory. They published it under the title “The Grooved Script concerning Space-ships which, as recorded on the Discs, landed on Earth 12,000 years ago”. Critics have largely rejected the above claims, arguing they are a combination of hoax and urban legend. For example, writer David Richie notes that the Dropa tales intrigued Gordon Chreighton, a Fellow of the Royal Anthropological Society and Royal Geographical Society. 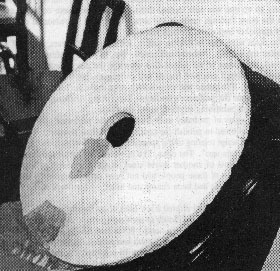 Upon investigation, Chreighton judged the sensationalistic Dropa-Extraterrestrial allegations to be “groundless,” and detailed his findings in an article for Flying Saucer Review. 1. The discovery. There are no mentions of ‘Tsum Um Nui’ anywhere; as he is supposed to have fled China and died in Japan in the 1960s this cannot be negated by Cultural Revolution, Communist coverup theory. Also, there is no mention of the 1938 archaeological expedition to the Banyan Kara Ulla range. No “Peking Academy of Pre-History” ever existed.2. Early Sources. The earliest mention of the story is in Erich von Damien¹s infamous 1968 book, Chariots of the Gods. The book has been widely criticized as unreliable; in fact, the vast majority of names and sources appearing in the book cannot be corroborated, and no existence of the following Soviet or Chinese scholars can be found anywhere outside this story: Cho Pu Tei, Tsum Um Nui, Ernst Wagener, Vyatcheslav Saizev, and Sergei Lolladoff. Most tellingly, Däniken gives his main source for the story as a Soviet science fiction writer Alexander Kazantsev; however Kazantsev himself disagrees with Däniken’s account and says that it was Däniken who told him the story, not the other way around.